Our experience covers all types of civil construction and we have the ability to work in sensitive and remote environments. Lucas TCS with its extensive construction equipment fleet and experienced personnel are able to undertake large and challenging projects as well as minor or maintenance type activities. The fleet being one of the largest in SA can be mobilised readily with our haulage fleet to any destination locally or within Australia. Our site based management teams are supported by our head office departmental personnel and resources based in Adelaide which is co-located with our distribution yard and maintenance workshops. Lucas TCS are the preferred choice of many leading mining companies because we are reliable, we meet deadlines and we have an excellent safety and environmental record. We are also well-equipped to overcome the unexpected – even in the remotest of areas. Pivotal to our ability to deliver successful projects is our experienced team of project managers, engineers, supervisors, surveyors, shotfirers, operators and drillers, together with our own on-site maintenance facilities headed by experienced managers supported by well-trained diesel fitters, boilermakers and trades assistants. Lucas TCS has the capacity to develop new mining operations as well as supplement existing operations. The company is capable of undertaking overburden stripping, drill & blast, load and haul of ROM materials, crushing and concentrate or bulk commodity haulage. A complete service from resource to ship or process plant can be offered as well as individual parts of the mining services. A modern fleet of mining equipment supported by excellent maintenance and supply chain management can be easily mobilised to your operation. Along with all your civil earthworks and stormwater and utilities construction, Lucas TCS can provide all your concrete requirements. With experience in super flat floors, footings, steel fixing, retaining walls, mezzanine slabs either machine or hand finished, Lucas TCS can add value to your project by combining all works under one contract, saving precious time & money in the management of various subcontractors whilst eliminating any problems with levels or scheduling works. Lucas TCS has the capability of mobilising a transportable camp for remote works. The camp consists of single person en-suites accommodation units housed in 20ft-containerised formats. These containers are of the highest standard and can be set up quickly and efficiently. The containers can be installed on flat compacted surface outlets to ensure maximum efficiency during the installation process. 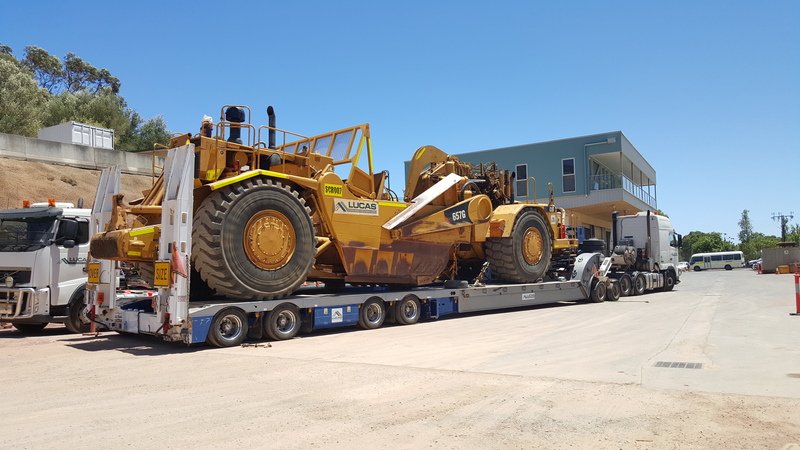 The containers are ISO dimension and can be transported via any intermodal method around Australia including road and rail 24 hours per day without the need for permits or restrictions in movement. In addition to the en-suite accommodation. These facilities can include: Kitchen facilities (catering can also be arranged) recreation rooms / mess halls, laundry blocks, ablution blocks, gymnasiums, fridge and freezer facilities, pre-packed sewer treatment plant, first aid room, site offices, meeting rooms and water tanks. Lucas TCS is experienced in the environmental issues impinging on projects. Consequently the systems, procedures and experience we have will be applied in all aspects of our work. Our EMS, supporting procedures and documentation as part of our Management System, provides us with the framework to ensure that the work is undertaken to preserve the environment. Lucas TCS is experienced in the mitigation of environmental issues that may be associated with a project. This management system combined with our extensive expertise will be applied in all facets of our work, to preserve the environment. Our “Control of Work” (IMS requirement) acknowledges the significance of the environmental issues and consequently we have developed methods of work that will ensure achievement of a superior standard of environmental protection. We will work closely with the relevant Government Authorities to ensure that projects meet all their required environmental objectives. As an example of our awareness of the importance of environmental issues, we have developed a strong working relationship with the EPA in relation to our operations in landfill and waste disposal. Our experience in other projects has enabled us to apply sound operating practices to ensure that environmental objectives are achieved and the environment is preserved. Lucas TCS has a very high level of expertise in the effective management of waste disposal, environmental impact, landfill, site remediation and decontamination. Lucas TCS offers clients a complete in house remediation and decontamination solution covering clean up, restoration, transport, off site treatment and disposal of contaminated material. 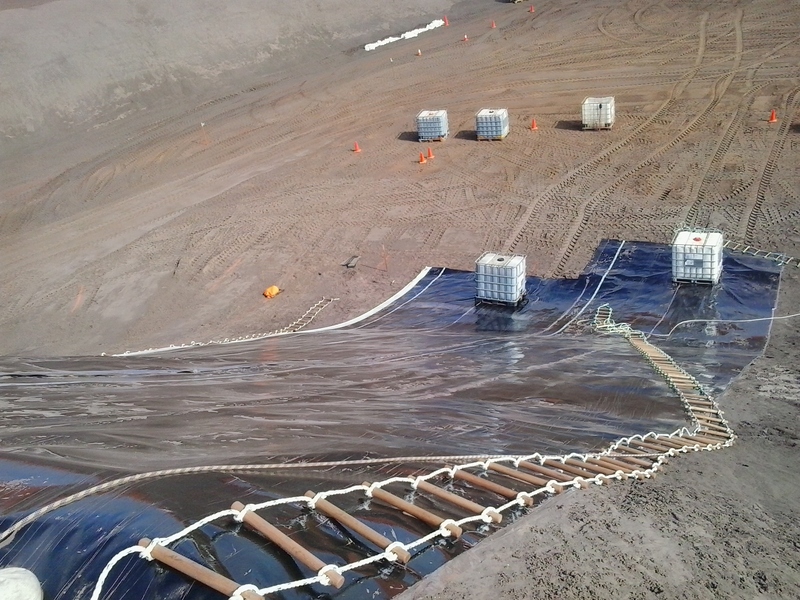 Lucas TCS has been pivotal to the success of many environmental clean-up projects. Lucas TCS' extensive skills base and being one of the largest and most modern plant fleets in South Australia means we can tackle all types of marine development regardless of size or complexity. The protection of sensitive marine ecosystems is a critical part of operational planning and implementation. Our comprehensive environmental management systems cover project planning, delivery and site remediation, and meet statutory requirements and ISO 14001 standards. Lucas TCS work teams are also used to working in extreme weather and tidal conditions – sometimes around the clock – to ensure we meet demanding time constraints.